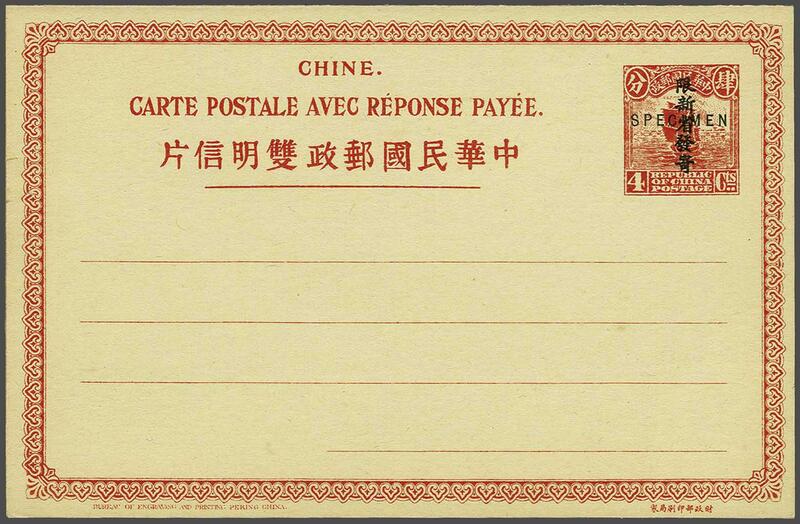 Sinkiang 1924: 4 c. + 4 c. red postal stationery reply cards, optd. for Sinkiang, a fresh unused example overprinted SPECIMEN in black. Very fine and scarce.